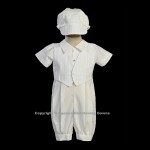 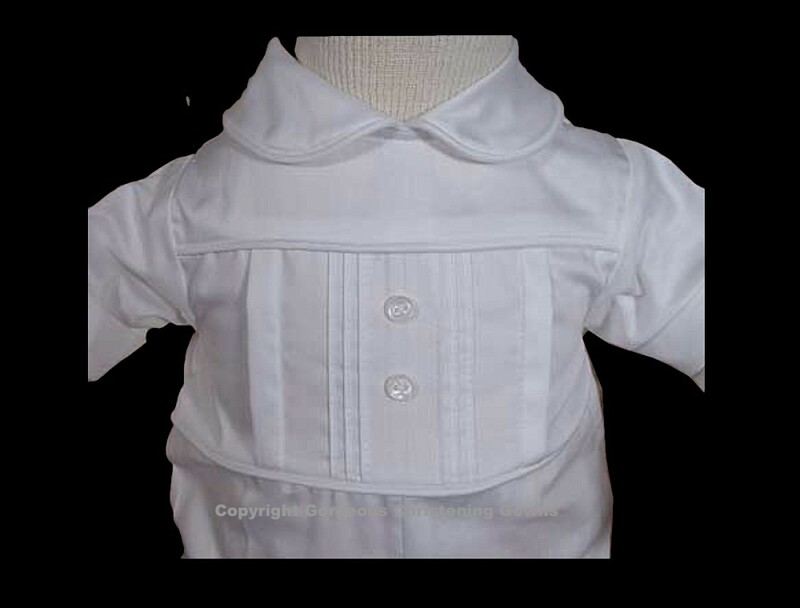 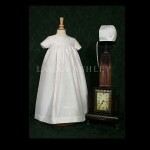 Cotton Sateen short sleeve boys christening outfit with pleated and pin tucked front. 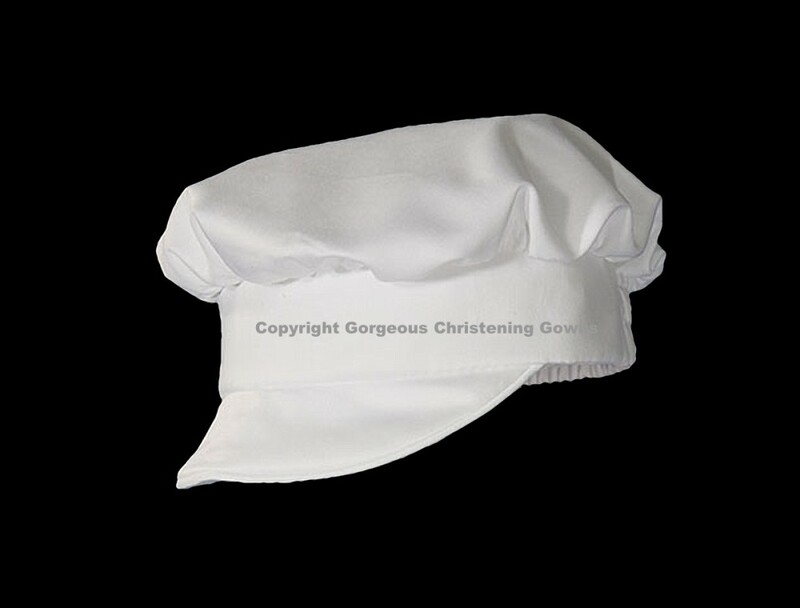 Includes matching captain style hat. 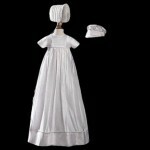 Heirloom Preservation Bag recommended for long-term storage. 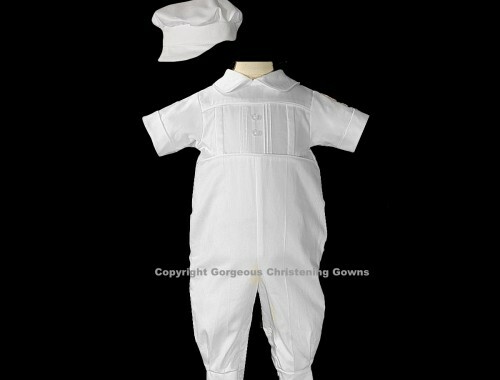 Available in sizes 3, 6, and 12 month.